Staff Sgt. Eric Golowach, a reservist with the 443rd Military Police Company of Owings Mills, Md., embraces his daughter, Mia, 4, after returning from a 10-month deployment to Guantanamo Bay, Cuba, Sept. 9. Army children have been a popular and important topic at the Family Forums held this week during the Association of the United States Army’s Annual Meeting and Exposition this week. Army leaders pledged to review child care options and hours. The Army’s top leaders have announced that the Army will pause expected cuts to Family, Morale Welfare and Recreation programs and Army Community Services pending a holistic review. Secretary of the Army Eric K. Fanning gave the news to a group of spouses at the third Family Forum of the Association of the United States Army’s Annual Meeting and Exposition Oct. 5. He and Chief of Staff of the Army Gen. Mark A. Milley, together with other leaders, will review the proposed cuts to ensure the needs of the Army, Soldiers and families are being met, Fanning said. The needs of families overseas or at an isolated post like Fort Irwin, California — which is in the middle of the Mojave Desert and hosts the National Training Center — are quite different than, say, Colorado Springs, Colorado, which has many local amenities, Sgt. Maj. of the Army Daniel Dailey pointed out. Army leaders want to get those decisions right, he continued. Milley believes caring for families is crucial for readiness. 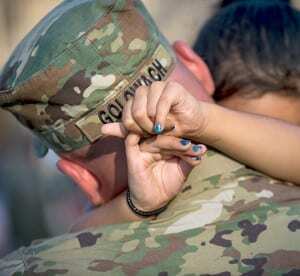 A Soldier can’t deploy and fulfill his mission well if he’s also worried about his family at home. A major component of that is Child care. Fanning said he has asked about child care more than anything else. He has ordered a review and expects a report this month. While the Army already offers high-quality, reliable child care, he admits it can do better. Soldiers and their families often need extended child care hours to complete their missions, for example. As one audience member in the forum pointed out, Guard and Reserve Soldiers often need child care during their drill weekends and training missions. The Army is working on that, said Dailey, but there won’t be an easy solution.